NASCAR is loved by many and hated by most. It is known as the redneck sport that has rowdy fans with a drinking problem. But the sport contains some of the most loyal and dedicated fans of any sport in America. The 2015 season is upon us, and it is already looking to be one of the most exciting NASCAR has seen in a while. 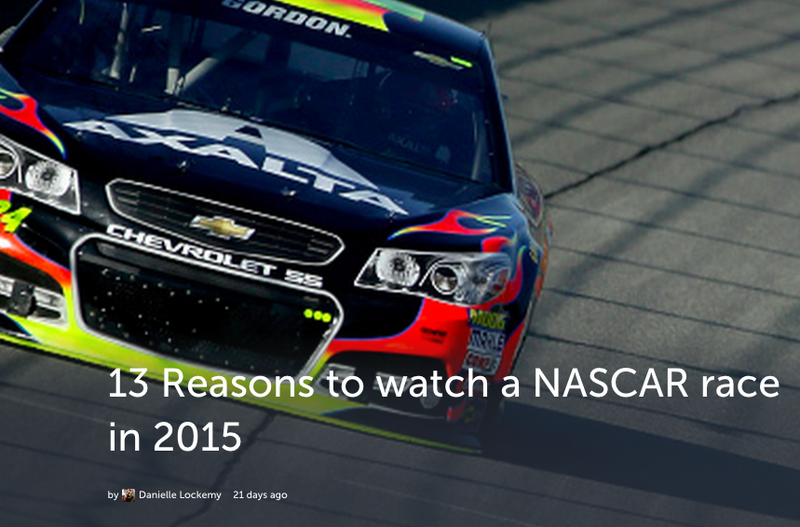 Just in case you needed a little convincing, here are 13 reasons why this NASCAR season is the one to watch.